Last week, took place the second session of the intergovernmental negotiating committee to prepare a global legally binding instrument on mercury, at the Makuhari Messe Conference Centre in Chiba, Japan. I was there representing FDI World Dental Federation, leading the delegation. FDI had a substantial representation as well as ADA, IADR, among others organizations. Presences: Dr Julian Fisher, Dr Stuart Johnston, Dr Masaki Kambara, Dr Peter Cooney, Dr Dan Meyer, Dr. Jerome Bowman, Dr. Christopher Fox and Dr. Kenneth Anusavice. I specially acknowledge the role of Dr. Julian Fisher dealing with all the aspects of this important summit. FDI’s presence was very important to ensure that the issues concerning dental amalgam are properly represented in this discussions regarding mercury. This session was more detailed than the first one on the mercury instrument, bringing positive points and scientific appointments. Several Governments also provided additional information to contribute to the documents for discussion. Visit to the GC Corporate Center on January 27th in Tokyo. 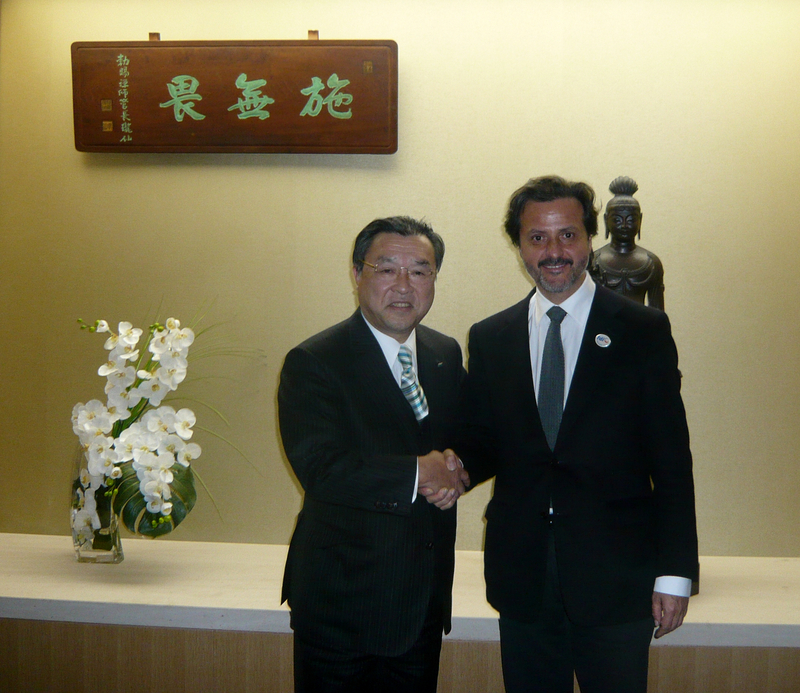 In this picture with GC President and CEO Makoto Nakao. You are currently browsing the Orlando Monteiro da Silva blog archives for January, 2011.